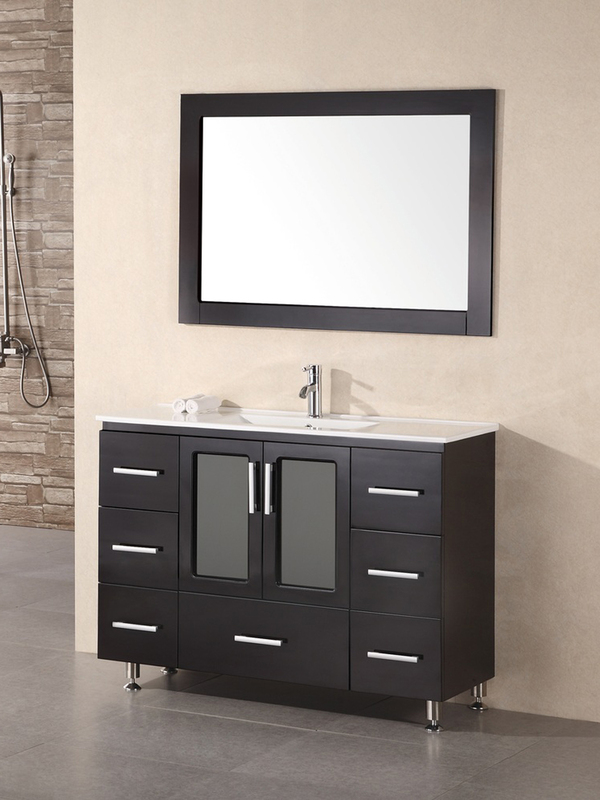 The 48" Stanton Single Vanity is ideal for those seeking a sleek and stylish addition to their modern bathroom. Sturdily constructed from solid oak, this is one vanity that has looks that won't fade or warp with time. From its white porcelain countertop to its seven drawers and single cabinet, this vanity sports ample storage space for all of your bathroom essentials. 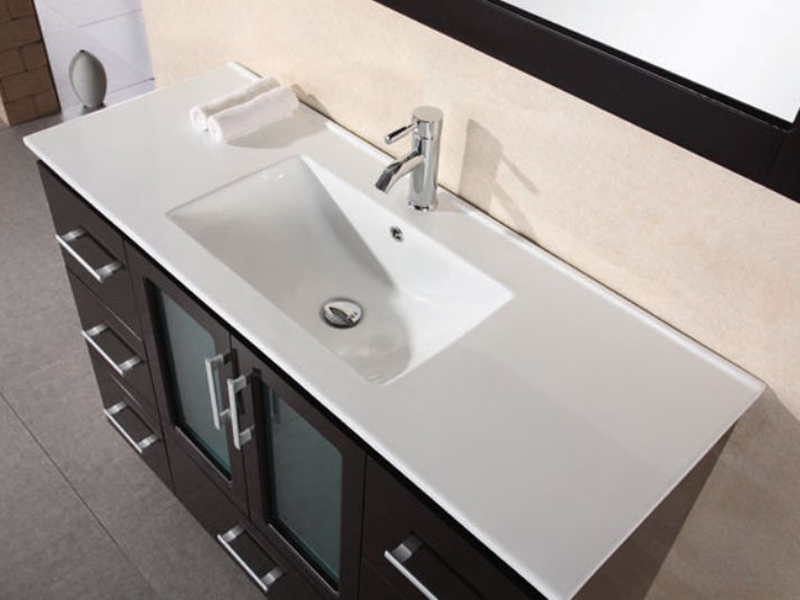 The sink is seamlessly integrated into the countertop. 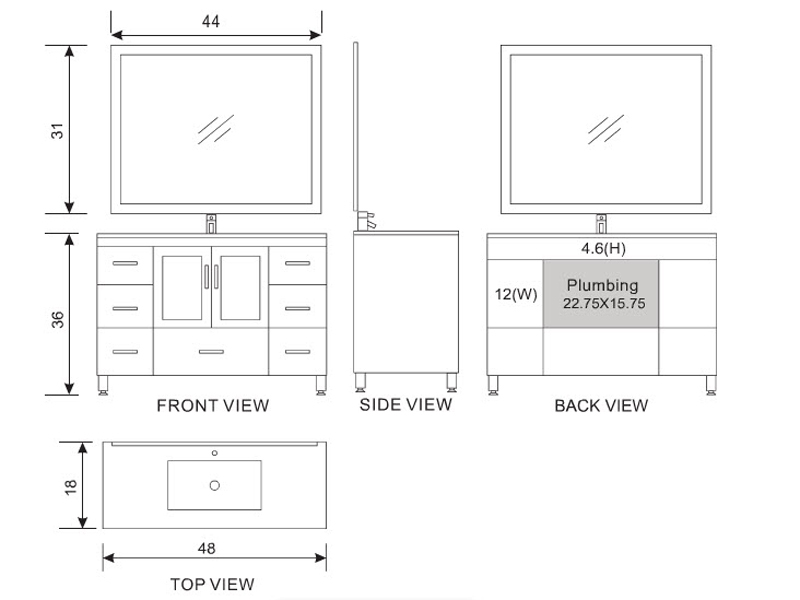 A matching hardwood frame mirror is included, making this single vanity the complete package.